Germanwings Co-Pilot, Andreas Lubitz, Deliberately Crashed Plane, Prosecutor Says. PARIS - The co-pilot of Germanwings flight 9525 deliberately crashed the aircraft, French officials said Thursday, pointing to voice recorder evidence that he had locked the captain out of the cockpit, ignored his pleas for re-entry and steered down into the French Alps as passengers were heard screaming. The assertions instantly changed the nature of the Tuesday crash, which obliterated the Airbus A320 and killed all 150 aboard, into a wide-ranging criminal investigation that focused on the co-pilot, a 27-year-old German with no obvious reason to commit mass murder, who had been hired less than two years ago. The top executive of Lufthansa, the parent company of Germanwings, said he was speechless at the news from France. In Marseille, the chief prosecutor handling the criminal investigation, Brice Robin, said, "At this moment, in light of investigation, the interpretation we can give at this time is that the co-pilot through voluntary abstention refused to open the door of the cockpit to the commander, and activated the button that commands the loss of altitude." Mr. Robin said it appeared that the intention of the co-pilot, identified as Andreas Lubitz, had been "to destroy the aircraft." He said the voice recorder showed that the co-pilot had been breathing until before the moment of impact, suggesting that he was conscious and deliberate in bringing the plane down and killing 144 passengers and five other crew members on Tuesday. The German Foreign Ministry said half the dead were Germans, including four dual-nationals. The revelation that one of the pilots of the jetliner was locked out of the cockpit before it crashed, which was first reported in The New York Times, raised troubling questions. Search teams continued to scour the rugged terrain of the French Alps for clues, and several other issues remained unclear on Thursday, including the identity of the captain and why he had left the cockpit. The inquiry shows that the crash was intentional, Mr. Robin said, and he was considering changing his investigation from involuntary manslaughter to voluntary manslaughter. He said there was no indication that it was a terrorist attack, and added that Mr. Lubitz was not known to law enforcement officials. After the news conference, the German interior minister, Thomas de Maizi�re, told reporters in Berlin that security officials had checked their records after Tuesday's crash and found no indication that anyone on board had links to terrorism. 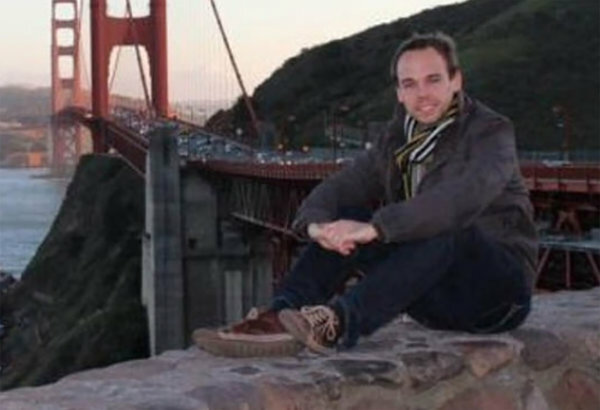 An investigation into the background of Mr. Lubitz, who was from the German town of Montabaur, is underway. German news media initially said he was 28, but local authorities said he was born on Dec. 18, 1987, which would make him 27. Asked if Mr. Lubitz had tried to commit suicide, the French prosecutor said, "I haven't used the word suicide," adding that it was "a legitimate question to ask." The flight was headed to D�sseldorf, Germany, from Barcelona, Spain, on Tuesday morning when it descended and slammed into the French Alps. The French prosecutor said that the authorities had a full transcript of the final 30 minutes of the voice recorder. "During the first 20 minutes, the pilots talk normally," Mr. Robin said, saying they spoke in a "cheerful" and "courteous" way. "There is nothing abnormal happening," he said. The prosecutor said the transcript showed that the captain was preparing a briefing for landing in D�sseldorf. The co-pilot's answer, the prosecutor said, was "laconic." The commanding pilot then asks the co-pilot to take over, and the noise of a seat backing up and a door closing can be heard. "At this stage, the co-pilot is in control, alone," the prosecutor said. "It is when he is alone that the co-pilot manipulates the flight monitoring system to activate the descent of the plane." The prosecutor said that this action could only have been "voluntary." The control the co-pilot activated requires several turns, Mr. Robin said, and it could not have been turned to such a low altitude accidentally. The captain is heard pleading to get back into the cockpit, but the co-pilot, heard breathing normally until the plane crashes, does not react, Mr. Robin said. "You can hear the commanding pilot ask for access to the cockpit several times," the prosecutor said. "He identifies himself, but the co-pilot does not provide any answer." "You can hear human breathing in the cockpit up until the moment of impact," he said, adding that the breathing did not indicate any health problem such as a heart attack. Passengers could be heard screaming before the crash, he said. During the descent, Mr. Robin said, air traffic controllers repeatedly tried to contact the aircraft but received no response. "We are horrified that something of this nature could have been taken place," said Carsten Spohr, the chief executive of Lufthansa and a former A320 pilot, at a news conference in Cologne, Germany, later Thursday. "It is the worst nightmare that anyone can have in our company." He said Lufthansa staff received psychological and flight training. Mr. Spohr said there was an interruption in Mr. Lubitz's training that lasted "a few months," but that he did not know why or whether it was related to a medical issue. The company was unaware of the reasons for the interruption. If there were a medical explanation for it, Mr. Spohr said, Lufthansa as his employer would not be entitled to that information because of medical secrecy rules in Germany. However, he said, Mr. Lubitz had passed his medical and psychological tests "with flying colors." There were no questions about his skills as a pilot, he said. Mr. Lubitz had been hired by Germanwings in September 2013, Mr. Spohr said, and was a fully licensed air transport pilot. At the time of the crash, he had accumulated 630 hours of flight experience. Mr. Spohr said the company would review its screening procedures for pilots, even as he emphasized that he had full confidence in the company's current policies. A flight club based near Montabaur posted a death notice for "Andreas" on its website. "Andreas became a member of the club as a youth to fulfill his dream of flying," the LSC Westerwald club said on its website. "He fulfilled his dream, the dream he now paid so dearly with his life," the club said. 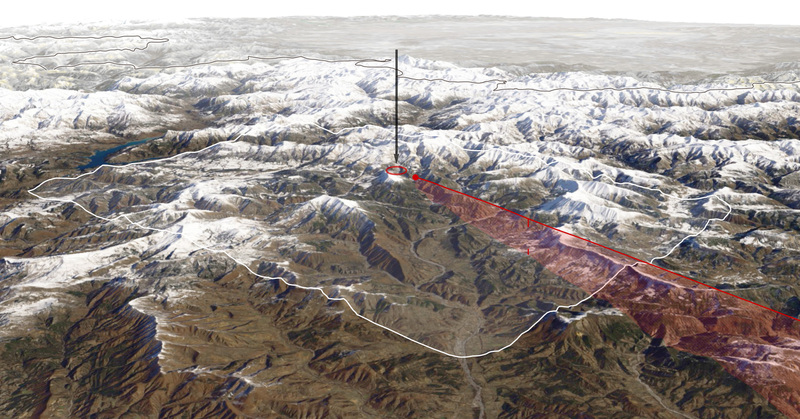 The posting appeared on the site before Mr. Robin told reporters in Marseille that the co-pilot had consciously put the plane on course to land while flying over mountainous terrain with no airport in the region. Mr. Lubitz was registered as living with his parents in the Montabaur region, but he also had a home in D�sseldorf, the German TV station N24 reported. The news conference in Marseille raised the possibility of a pilot suicide. The captain, who left the cockpit, would have had to have followed a precise procedure to get back in. Assuming the cockpit door did not malfunction, analysts said, it was possible that the co-pilot could have activated a switch that would have denied the captain access to the controls for several minutes. When Mr. Spohr was asked whether the co-pilot had committed suicide, he replied. "I am not a legal expert." He then added, "But when one person is responsible for 150 lives, it is more than suicide." In 1999, after a Cairo-bound EgyptAir flight crashed in the Atlantic Ocean off Nantucket, Mass., killing 217 people, investigators at the time said they suspected that the co-pilot might have attempted suicide. The United States National Transportation Safety Board, which was charged with the investigation, concluded that the crash had occurred because of the co-pilot's "manipulation of the airplane controls," although its report explicitly did not use the word suicide. Stefan Schaffrath, an Airbus spokesman, said on Thursday that in the wake of the Sept. 11, 2001, terrorist attacks in the United States, Airbus had upgraded the reinforcements of cockpit doors on its planes in compliance with international regulations. According to an Airbus video describing the operations of locking the cockpit door, it is locked by default when closed. But when a pilot wants to lock the cockpit door to bar access to someone outside, he or she can move the toggle to a position marked "locked," which illuminates a red light on a numeric code pad outside. That disables the door, keypad and the door buzzer for five minutes. While these functions are disabled, the video shows, the only way to make contact with the crew is via an intercom. The doors can then be opened only if someone inside overrides the lock command by moving and holding the toggle switch to the "unlock" position. If someone outside the cockpit suspects the pilot is incapacitated, that person would normally first try to establish contact via the intercom or by activating a buzzer. If those efforts were unsuccessful, the video shows, a crew member outside the cockpit would need to enter an emergency code on the keypad. Dominique Fouda, a spokesman for the European Aviation Safety Agency in Cologne, said that there was no regulatory requirement in Europe for a cabin crew member to be present in the cockpit when one of the pilots leaves for "physiological reasons." "Basically, unless they have a physiological need, they have to be in the cockpit," he said. Aviation safety experts said that the standards in the United States were similar, although Laura Brown, a spokeswoman for the Federal Aviation Administration in Washington, said she could not immediately confirm this. Mr. Spohr said Lufthansa allowed its pilots to leave the cockpit once cruising altitude had been reached, and that the captain had waited until that phase of the flight before heading into the main cabin. As investigators continued to pore over the clues, relatives of the victims were expected to arrive on Thursday near the site of the crash, where a makeshift chapel has been set up, and where psychologists are available to provide support. Lufthansa was to operate two special flights for family members on Thursday, from Barcelona and from D�sseldorf. The victims of the crash included many Germans and Spaniards, including 16 high school students and two teachers who were returning from an exchange program. Other victims included citizens of Britain, Colombia, Iran, Israel and the United States, among others. A charter flight with 62 relatives and friends of victims landed in Marseille on Thursday after leaving Barcelona shortly after 10 a.m., Spanish television reported. Other relatives traveled by bus overnight from Barcelona, although their number was unconfirmed. All were expected to be driven to near the crash site, under the supervision of psychologists and other medical staff members. The Spanish government announced Thursday morning that 50 victims were now believed to be Spaniards, down from 51 on Wednesday. One of the victims lived in Spain but did not have Spanish citizenship.